Let’s be honest: Food is tempting. It’s often hard to figure out the exact amount of carbs, veggies, fruits, and protein that you should consume in one sitting. Dr. Partha Nandi, author of THE DR. NANDI PLAN, gives you a rundown on how to eat until you are two-thirds full. Check out this helpful diet strategy that will prevent you from overeating and help you focus on nutrition. Supersize me! This seems like an anthem of our generation. From fast-food drive-throughs to restaurants and buffets, it seems the more the better. Our desire to “get our money’s worth” has ruined our health and led to an epidemic of obesity, high blood pressure, internal inflammation (the cause of many diseases and an easy way to get your autoimmune system to turn on you). Talk about penny smart and pound foolish: What is temporarily good for your wallet may not be good for your health. Increased cholesterol, obesity, and heart disease follow. In my #healthhero talks around the world, I talk about the “war” with the buffet table. It seems like we go to battle with this adversary over and over. We are determined to eat everything on this table. Is that really “getting your money’s worth”? If you eat and eat and never pause long enough to feel your fullness, you will probably always overeat. Why not dine where portions are smaller? Choose whole foods that have been pulled from the earth or that drop from plants and trees. If you love meat, choose low-fat cuts, simply prepared without using a great deal of fat. At the salad bar, reach for chickpeas over bacon bits. Croutons are fine but have little nutrition, so if you want crunch, add some nuts and seeds. Simple substitutions of healthy foods often make all the difference. If you can, try eating one vegetarian meal a week, even if you have to eat out to get a fine preparation. In India, my home country, we’ve been practicing the art of vegetarian cooking for many centuries! 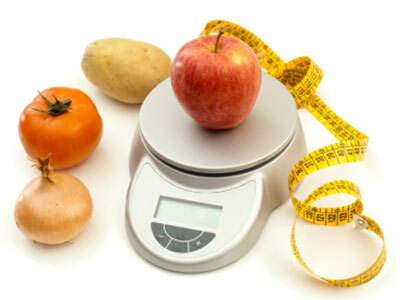 Up your intake of fruits, vegetables, whole grains, and beans. Those foods add fiber and huge nutrition. Just as disturbing is the low-fat or no fat movement. Foods with these labels are ubiquitous throughout supermarkets and food stores. Well then, since something is low in fat—or even better, no fat—you can eat double or triple your normal portion, right? Wrong! Most of these foods are packed with added sugar and other unspeakable fillers to compensate for the lack of the taste fat imparts, again increasing your risk of disease. To learn more helpful tips for a healthy diet strategy, take a look at THE DR. NANDI PLAN by Partha Nandi. Excerpted from The Dr. Nandi Plan by Partha Nandi. Copyright © 2018 by the author. Used by permission of the publisher. All rights reserved. 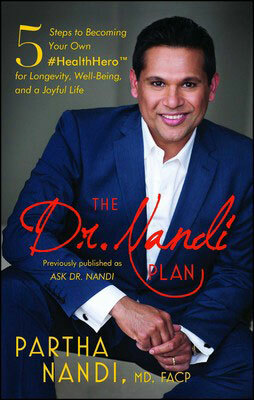 In this book, previously titled Ask Dr. Nandi, the star of his own award-winning TV show empowers you to become your own health hero in a “simple, yet comprehensive plan to uplevel your health and your life. Learn why millions rely on Dr. Nandi” (JJ Virgin, New York Times bestselling author).In The Dr. Nandi Plan, Dr. Nandi delivers passionate and trusted advice to becoming your own “health hero”— an advocate for yourself and your family, in sickness and in health. A health hero is someone who builds the confidence to gain knowledge about the state of their wellness, and then uses that knowledge to make tough decisions. Whether addressing bullying or prostate cancer, community and purpose or fitness and nutrition, Dr. Nandi tackles the tough questions, stimulates conversations, creates a new awareness of options and resources, and guides you to confidently make the choices that are best for them. “Guided by this book, anyone can live a more joyful, health-minded lifestyle,” (Mark Hyman MD, Director of the Cleveland Clinic Center for Functional Medicine).